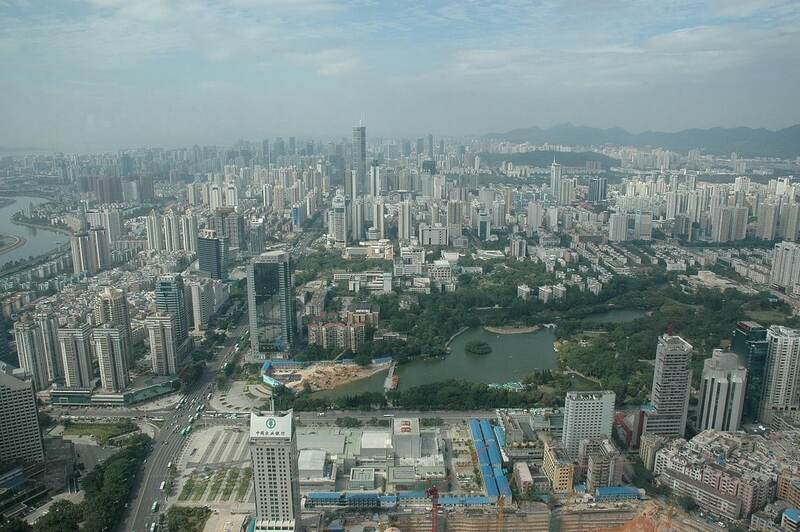 In addition to interviewing around 50 fresh graduates this weekend I also went up the 9th tallest building in the world (10th depending on how you calculate it) to get a fairly stunning view of the city I now call home, Shenzhen. 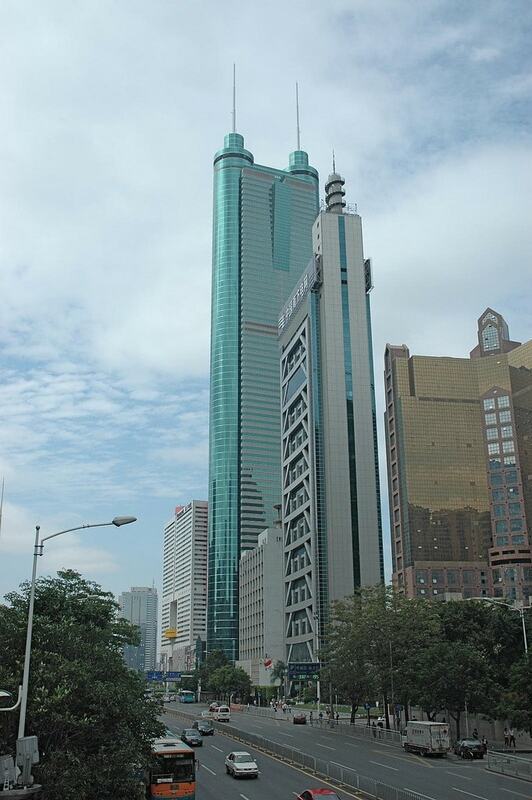 Located in the CBD, next to Da Ju Yuan metro station, Shun Hing Square skyscraper stands at a whopping 384m tall with 69 floors and is the tallest steel building in China. There is an observation deck at the top providing a commanding view of the megalopolis below in all its sprawling glory. Although clear skies are a rarity anywhere in urban China things were better than usual that day with just a thin haze covering in the skyline. 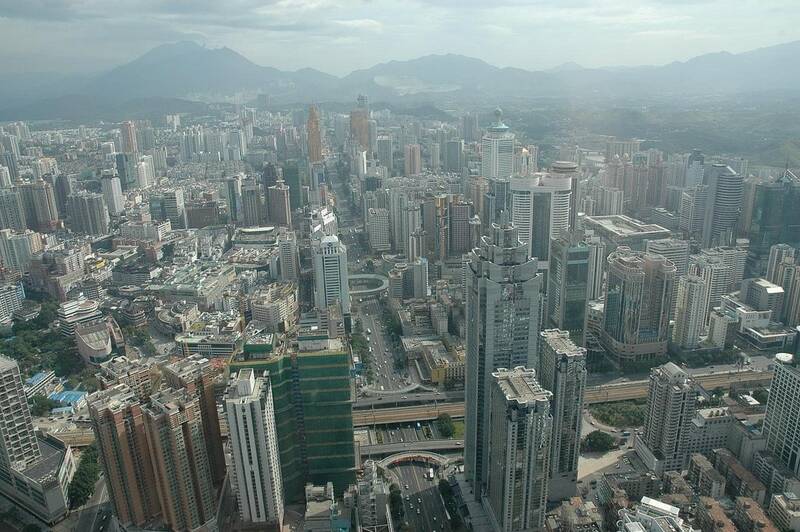 From this hight the sheer scale is breathtaking and on a clear day, you can peer over to the rich neighbour, Hong Kong. You are immediately struck by the density of construction, unseen in most of Europe and the west in general. 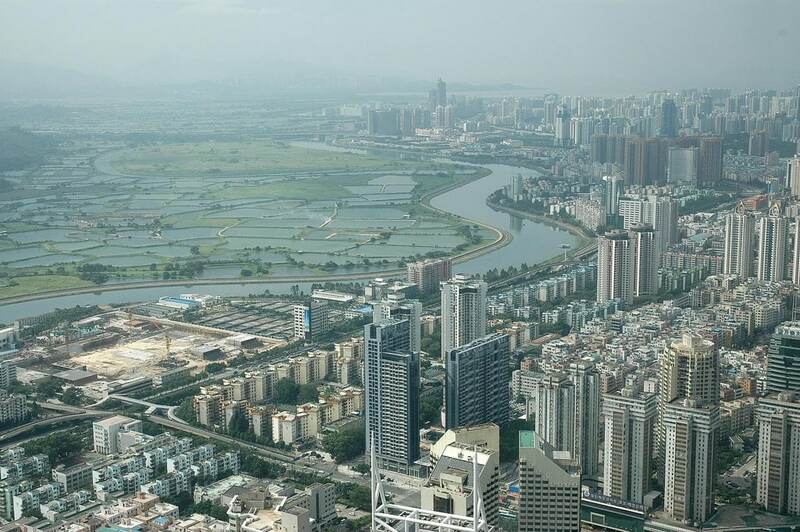 With land at a premium and a massive population, the solution has been to build upwards at an alarming rate which continues today with construction crews working 24/7 on new sites around the city. In what appears to be a bit of planning foresight a green area has been set aside as a “Central Park” ala New York to provide an oasis in the middle of the city. It has to be said that on an individual level most of the architecture is fairly uninspiring and frankly ugly but as a whole it has a certain brash charm and energy as if to express its aspirations as a city for the future. Hi Sabrina – have a great time in London & Bristol! If you need any suggestions for places to visit drop me a line. Hi, I agreed with ur opinion on architecture.Hehe…I’m planing to go to Bristol for the coming Christmas, already a bit excited to see London.. Previous Post FutureTechnology What Are You Doing?